Being the proud owner of nine pet rats, I have collected a few items that feature my furry little friends. Sadly, most antiquarian items concerning rats do not portray them favorably as the smart, friendly creatures they are. Rather, they are portrayed as disease carrying pests, and in the context of those times, perhaps with reason. 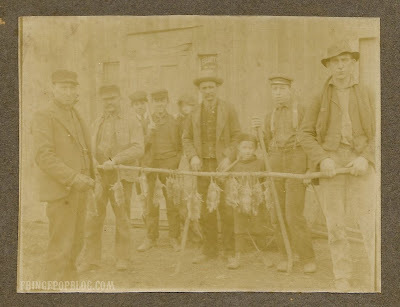 The turn of the century cabinet photo features a team of rat catchers showing off a bunch of dead rats hung on a stick. That's all I'm going to say about that. 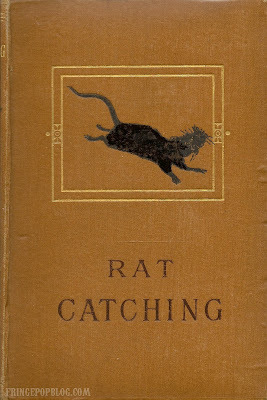 The book "Rat Catching" by Barkley is an 1896 book on the subject, complete with gilt and a graphic of a rat on the front cover. Rare and esoteric find. 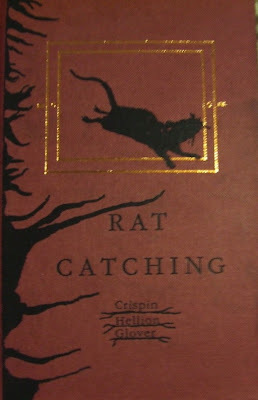 The book "Rat Catching" by Crispin Glover was inspired by the previous book and is featured in his stage performance. Glover's book is also in my collection, and the copy has an autograph inside that was obtained in person at his show in Minneapolis, in which his movie "What is It?" was also exhibited. Glover is also known for starring in the rat-centric remake of "Willard."